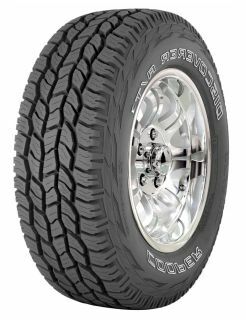 The Discoverer A/T3 Sport is designed to provide excellent traction, stability and handling for outstanding performance both on and off-road. Constructed with a 5-Rib all-terrain tread pattern design, this tyre is optimised to maintain excellent levels of grip, resulting in a smooth handling performance and responsive braking and steering. Designed with wide circumferential grooves, the Discoverer A/T3 works to rapidly channel water away from the tyre for excellent aquaplaning resistance, resulting in high levels of safety in wet conditions. In addition, lateral groove protectors help to reduce the chance of stone retention, helping to resist damage for long tyre life.